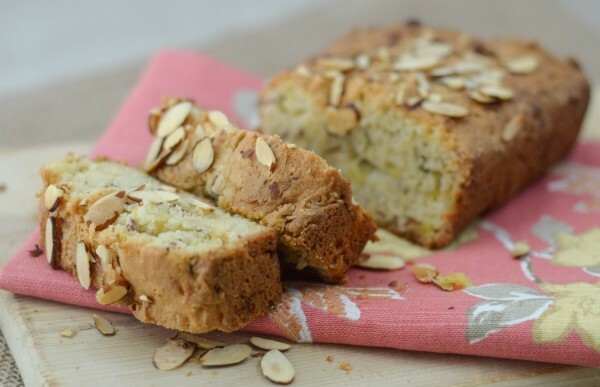 This gluten free zucchini bread is the perfect little treat to get your morning started. Plus it has pineapple for extra sweetness! One cherished heirloom that I had passed on to me is my great-great aunt’s recipe collection. It is full of amazing recipes that are written on scraps of paper or clipped from newspapers. It’s like a little time capsule that I never want to let go of. When we moved a few years ago, it was misplaced. My dad and I basically turned my house upside down until we found it. Now, it has a special spot in my office and it doesn’t leave that spot! My great-great aunt lived to be near 90, so it is a very old recipe collection. 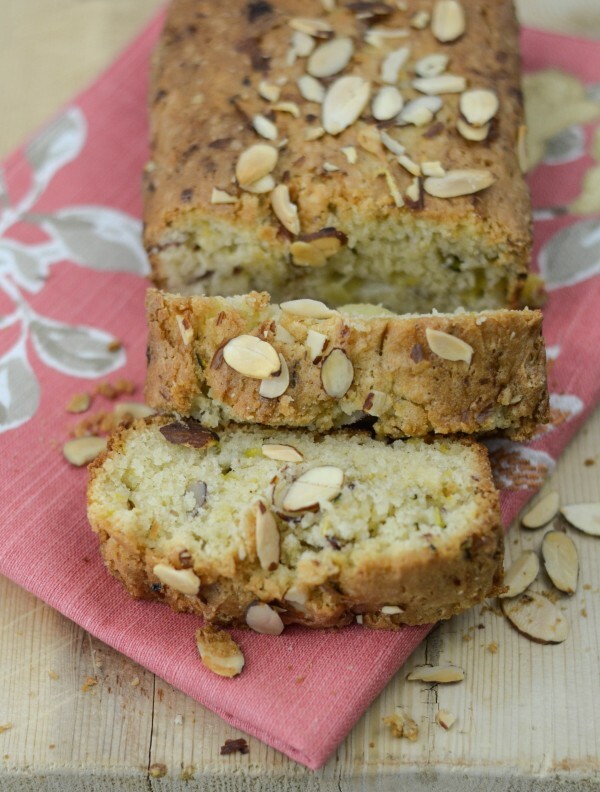 One of my favorite recipes from her collection is for Zucchini Pineapple Bread. I actually found it on the web recently too as a very similar recipe. I’m not sure where her’s came from — it has a friend’s name on the recipe card where she had it written — but I would assume it must have been popular during that time frame, likely the 1960s. She was very much involved in her church group, so she always brought dishes to share with her friends there. Each time I make one of her recipes I feel like she’s cooking alongside me. I have very fond memories of her from when I was a kid. She and my grandma would spend hours cooking in the kitchen. Of course, my sister and I were the taste testers back then; now my kids get that luxury. This bread can be adapted with different types of nuts or fruits. My great-great aunt made a note on her recipe that she likes to add nuts and raisins to it. I decided to use almonds when I made this, which really hit the spot. Do you have a favorite gluten-free bread recipe? 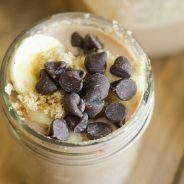 I am sure this one will be a delicious addition to your list! 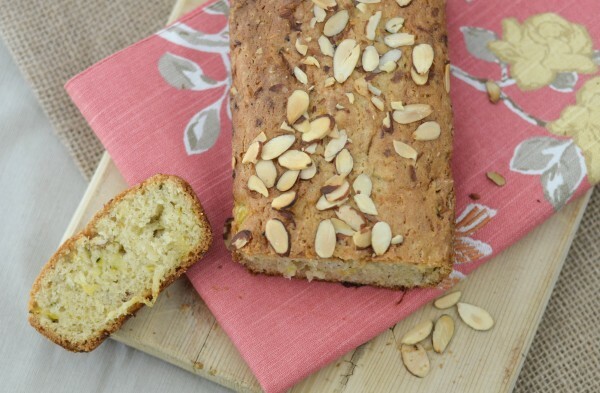 Also be sure to check out my recipe for Almond Bread. I have never thought of this combination but Zucchini Pineapple bread sounds delicious! Being gluten free often times the bread recipes I have tried come out dry but this looks moist and full of flavor. I will be sure to try it out! This looks delicious. I am not a big fan of pineapple because of the texture. However, I will have to try this because it looks so good. I think the crushed pineapple wouldn’t have as much texture either. Baking can be relaxing and it can also be a stress reliever when you spend the time with your loved ones in the kitchen. This gluten-free pineapple bread looks so delicious. It’s perfect for breakfast. This sounds like amazing bread!! I love that it is gluten free I have friends who just had to switch gluten free. I am sure she would love zucchini bread made like this, as would I! 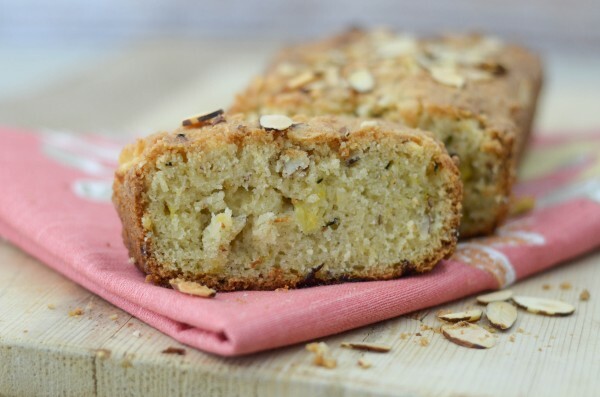 Zucchini and pineapple makes a healthy bread. I’ve heard about zucchini bread but not this combination. Do I have to modify the recipe if I’m using an ordinary flour? Nope it will work just the same with regular flour. Enjoy! This looks amazing! I love getting fruits and veggies in any way I can. 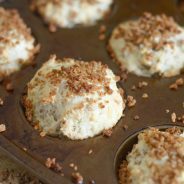 I have a handful of friends who are gluten free and I will definitely pass this recipe along! i love zucchini bread, but I can’t say that I’ve ever seen it with pineapple. I bet that adds a great sweetness without a lot of extra sugar. It looks delicious too! Wow, this is actually the first time that I’ve heard of zucchini bread and I’ve never tried one yet! This is a good reason for me then to make it. It looks great! I don;t usually cook gluten free as it is unnecessary for me. 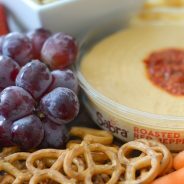 If I were to make this recipe using all-purpose flour are there any changes that I would have to make elsewhere? This sounds delicious, do I drain the pineapple first if I use regular flour? You can use regular all purpose flour with the same measurements as the gluten free flour, they work the same. I also don’t drain the pineapple; however, for this one I crushed it myself, so I just used the liquid and pineapple that was crushed and put it in. If you are using canned crushed pineapple, I would just scoop it out into a one cup measuring cup and leave the liquid that’s in that as well b/c it gives a nice flavor to the bread.